Sunshine Peacock 1.25 inch Aulonocara African Cichlid FREE OVERNIGHT SHIPPING! Peacock cichlids or Aulonocara are a genus of cichlidae known as haplochromine cichlids which are endemic to Lake Malawi in East Africa. All types of peacocks or Aulonocaras species of cichlid fish are mouth brooders which mean after fertilization the female carries the eggs in her mouth until them hatch and are large enough to leave the safety of her mouth. These African fish are dichromic or containing two colors. 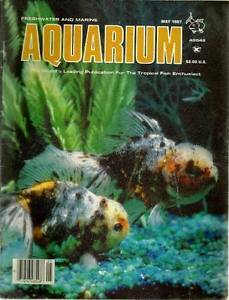 In the aquarium these cichlids are best kept in cichlid community tanks that are preferably large. Peacocks can be housed with other medium sized non aggressive cichlid fish from Lake Malawi. In the wild these fish defend large open areas where they spawn in pits so the aquarium should offer a lot of caves for hiding but areas where territories can be established. Some hobbyist keep multiple females with one male in the tank because have multiple males may cause fighting so its best keep one male if possible. 5 pack 3/4 inch Rainbow OB Peacock Cichlids!! Firefish Peacock (Dragon Blood)1.25-2.0 inch Cichlid FREE OVERNIGHT SHIPPING! 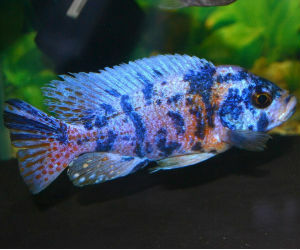 Lemon Jake Peacock aulonocara 1.25 -2.0 inch Cichlid FREE OVERNIGHT SHIPPING! 6 pack 3/4”-1” Dragon Blood Peacock Cichlids! !